No one wants an old nuclear plant. This week, campaigners in three European countries lobbied to close two 40-year old Belgian nuclear reactors thanks to concerns about defects. Nuclear power plants make neutrons – lots of them. As neutrons leave the core, where the nuclear fuel is stored and energy-generating reactions take place, they hit the atoms in the steel that surrounds it. Some neutrons knock atoms out of place, which can alter the properties of the steel, making it brittle. The result is nuclear power plants need to periodically replace the steel parts, an expensive and time-consuming job. So Kai Nordlund at the University of Helsinki, Finland, and his colleagues experimented with hybrid metals called high-entropy alloys to see if they were better at surviving radiation. In high-entropy alloys, the crystals of the different elements are randomly placed, so the odds of meeting an atom of given element are the same no matter which direction you travel. This is different from steel, in which atoms have discernable patterns and clusters. Although high-entropy alloys have existed for more than 10 years, it is only in the past few years that they have become high-quality enough to use in research. 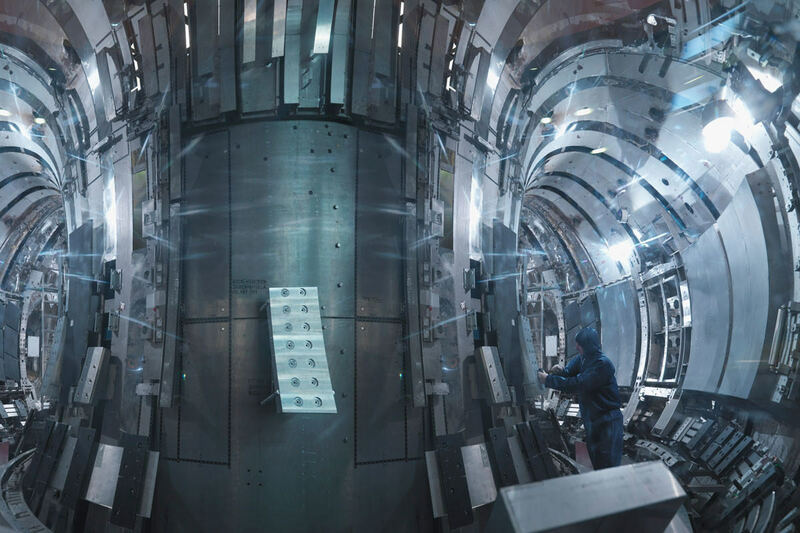 The scientists ran simulations to figure out which combinations might be most resistant to radiation, and settled on alloys of nickel-iron and nickel-cobalt-chromium. They then made micrometre-thin discs of the new metals and fired a beam of gold and nickel nuclei at them to simulate what might happen in a real nuclear reactor. When they analysed the discs, they found two to three times fewer defects – places where the structure of the metal was wrong – in the alloy than in a disc of pure nickel. They used pure nickel because it is easier to do the calculations than for steel, says Yanwen Zhang at Oak Ridge National Laboratory in Tennessee, a co-author of the study. In the simulations, the alloys performed better than alloys of iron with 10 per cent chromium, typical of stainless steel. The metals’ different crystal structures mean the comparison isn’t perfect, but it looks promising. Zhang notes their experiments show you can predict the properties of alloys by just plugging in the atoms you want. “This was with two and three elements,” she says. “There are ones we haven’t tried.” If these can perform just as well as steel, then there are many, many more that can do even better, she adds. It will still be years before a new alloy is ready for use in real nuclear plants, says Nordlund. “We are very happy but I wouldn’t dare yet to build a nuclear reactor out of these materials,” he says. Other materials scientists agree that the alloys are not ready for prime time. The measure Nordlund and colleagues used – defects per atom – is only one of many metrics, says Matt Gordon of the US Nuclear Regulatory Commission’s Office of Nuclear Regulatory Research. Eventually they’ll have to do full-scale tests.